Although an exceptional charter boat, the Hylas 54 really lead Hylas away from chartering. 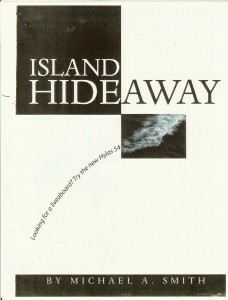 The 54 was introduced while CYC was winding down from her heydays of the late 1980’s and early 1990’s. 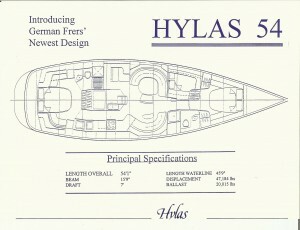 According to Queen Long, the first Hylas 54 Standard Deck (H54-#01) was delivered on Nov. 3, 1997. This hull is the infamous Heart Song III who wrote a nice review of the 54. The boat has circumnavigated twice. 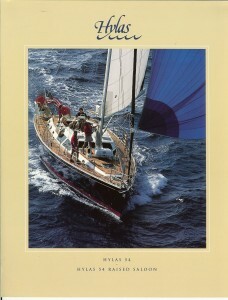 The first Hylas 54 Raised Saloon Deck (H54RS-#06) was delivered on Feb. 23, 1999. In 2000, the founder of Hylas Yachts USA, sold CYC to VIP Charters moving to focus on new builds of the 46, 49, and 54 Hylas models. The 54 is currently in production with a longer wait time of 2 to 3 years. The design has also been stretched to 56-feet in 2010. 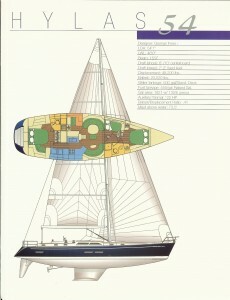 John has a review of the 54 Hylas Raised Saloon version. Please see our Hylas Models Page for information about other Hylases. Contact us or Hylas Yachts USA for the status of open production slots. First impressions dictate that this is a serious blue water cruising boat but also perfect for coastal cruising. From afar, purists will prefer the standard version to the RS. The standard version has a more traditional sailboat appearance while the RS has the popular motor yacht style with the aggressive doghouse and sleek windows. The raised saloon version outsells the standard three to one. The design is classic German Frers with a powerful raked bow, flattish bottom, and swim platform aft. She comes in a centerboard version of 6’/10′ draft and a fixed keel of 7’2″. Two portlights are amidships and one aft on each side. Hylas has made Twaron, a Kevlar like carbon aramid fiber, standard on the 54. This fiber makes the hulls bulletproof. The hull is Twaron with alternating fiberglass lay up hand laid with no core and using vinylester resins and Isophthalic gel coat. Owners tell stories of the tremendous strength of this material. One owner hit a rock with her keel without any hull damage. The collision was so hard it broke the motor mounts. Another owner hit a rock against the hull itself. The rock actually broke through, and water was rushing in. The owner motored to the nearest marina and had to wait in a slip until they could get the travel lift going. All the while the bilge pump was running, maintaining the water level. With a fiberglass boat, she would have sunk. Queen Long uses external lead ballast of 20,020 lbs mounted onto a stub. The hull deck joint is the common inner flange glued down with 5200, fasted to the toerail through 6″ centers with aircraft locking bolts, and tabbed together from below. The tanks are stainless steel with 3 for water, 2 for fuel, and 2 holding tank one for each head. The main tankage is under the saloon with more capacity 555 versus 455 on the RS version. The seacocks are bronze, bedded. These are the standard procedures for Queen Long, arguably the highest quality shipyard in Taiwan. Early Hylas 54’s had a partial skeg rudder that was flawed. There were reports of a number of rudder failures. Most notably in 2005, two 54’s had large portions of the bottom of their rudders break away during the Caribbean 1500 rally. The failures were because the partial skeg was too short and the bottom third of the foam rudder below the skeg was engineered to break-off in case of grounding. Even so with only 40% of a rudder, one of the 54’s went on to surprisingly finish second in the race. On post-2005 model 54’s, Queen Long increased the rudder to full skeg. You might ask about the rudder on early model 54’s. At the bow are double anchors, a very large sail locker and anchor rode locker. With the bow chock included, the 54 is actually near 56-feet overall. This rule follows the same for all Hylas yachts because the manufacturer length is based LOD and does not include the bow chock. The anchor locker is a watertight collision bulkhead forward with independent overboard drainage. The divided locker has separate storage for fenders and docklines. A watertight stern section is behind the dual aft lazarettes port starboard with with dual Bailey latches for watertight seal. The teak swim platform has a stern garage with a dedicated bilge pump with manual over ride in cockpit. The deck’s molded contrasting non skid is available in linen beige or whisper gray. She is a cutter rigged sloop with Selden spars. The 54 has 6′ 11″ head room in the saloon. The raised saloon model has 9″ less with step downs forward and aft. 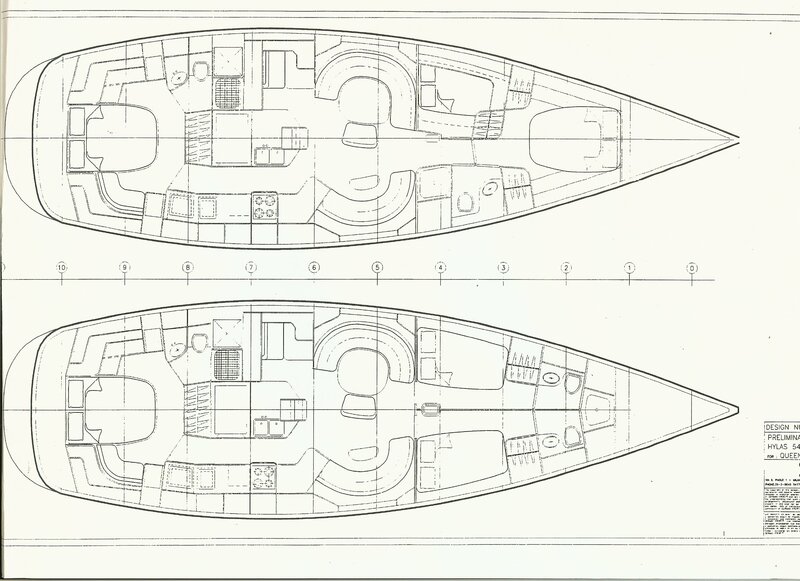 The 54 comes standard with a choice between 2 layouts: either a centerline queen forward with a Pullman and head forward aft or 2 heads forward with 2 offset Pullmans forward aft. The beam is carried well aft for a luxuries master stateroom. The interior like all Hylases is solid teak and teak veneer. The portlights in the master cabin and saloon along with the doghouse windows let a good deal of light into the interior. These are semicustom yachts with many variations between. 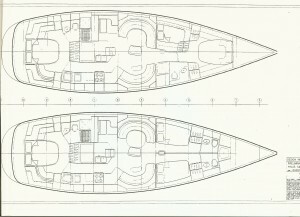 The standard layout includes a large forward cabin contains a walk-around, centerline, queen-size berth with proper mattress, hanging locker, bookshelves, under floor board, and under berth storage. Aft and to starboard of the forward cabin is the forward head with separate shower stall, automatic shower drain pump and teak grating. Partially louvered doors open to the forward cabin for privacy and to the passageway. Across the passageway to port is a customizable third cabin. For example many 54 make this an office. The passageway houses the mast, shelf storage, and under floor board storage. Aft of the passageway is a large, open salon that you could dance in. To port is a large dining area with sliding bench with custom adjustable backrest and storage and a drop-down table (forming a double berth). To starboard is a straight settee that slides out to make a 1 ½ berth with pad eyes for a sea berth. There are multiple, very large storage areas under and outboard of all settees and large upper lockers. Aft and to port of the salon is a transverse or longitudinal navigation station. Inboard of the navigation station is an island with open upper access to the galley containing a chart storage drawer, chart table, stainless steel double galley sink, and marble or Corian countertop, utility locker, companionway steps and one opening port. Aft of the salon to starboard is the seaway secure galley located in the walk-through to the aft cabin. The galley with top and front loading boxes while maintaining counter space. Aft of the galley is the spacious master suite with a walk-around queen-size, centerline berth and proper mattress. Completing the stateroom are double bookshelves at the head of the berth, a large hanging locker, a shelf locker under the berth and below floor board and below berth storage. The large tankage and 135hp Yanmar diesel will give you the range even if the wind is not blowing. The standard engine is a 125 HP Yanmar diesel. The older Yanmars were great, but these new ones hum even quieter and more efficiently. The engine room can be accessed from all sides of the galley island, by an additional set of double doors in the passage, and through the master shower. When it is blowing, she is a dream to sail in comfort. 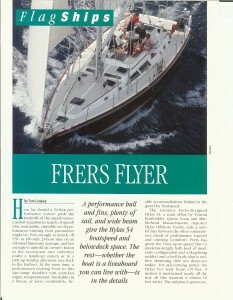 The 54 is a continuation of the successful German Frers 46 design. Her increased length equates to faster cruising, and you should not be surprised by the numerous stories of around the blue planet passages. The 54 was jumpstart in the evolution of Hylas. 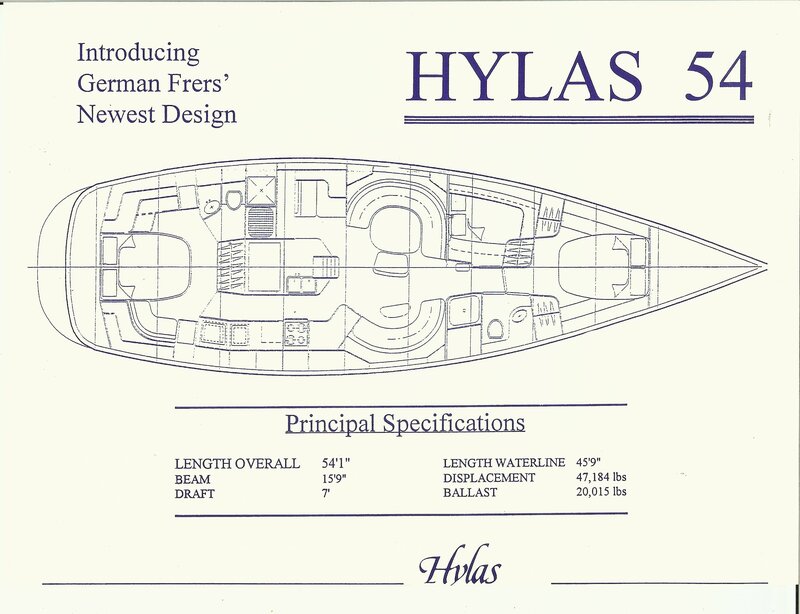 The 54 became the first completely new Hylas design since the mid 1980’s. Her introduction hearkened Hylas’ evolution from a purchase and charter business model to a totally private purchase model. Introduced at a sailaway of $495,000, you will have trouble finding a pre-owned 54 for this price. You might want to take a look at the stretched 56-footer introduced in 2010 with her lengthened cockpit.